Alec Baldwin loves word games? Enough to get kicked off an airplane? Apparently. "Flight attendant on American reamed me out 4 playing WORDS W FRIENDS while we sat at the gate, not moving #nowonderamericaairisbankrupt #theresalwaysunited"
TMZ reports that it wasn't actually the iPhone app that got Alec kicked off the plane, but his well-known temper. Frustrated, Alec got up from his seat to visit the lavatory and slammed the door so loud that the captain reacted by removing him from the plane. 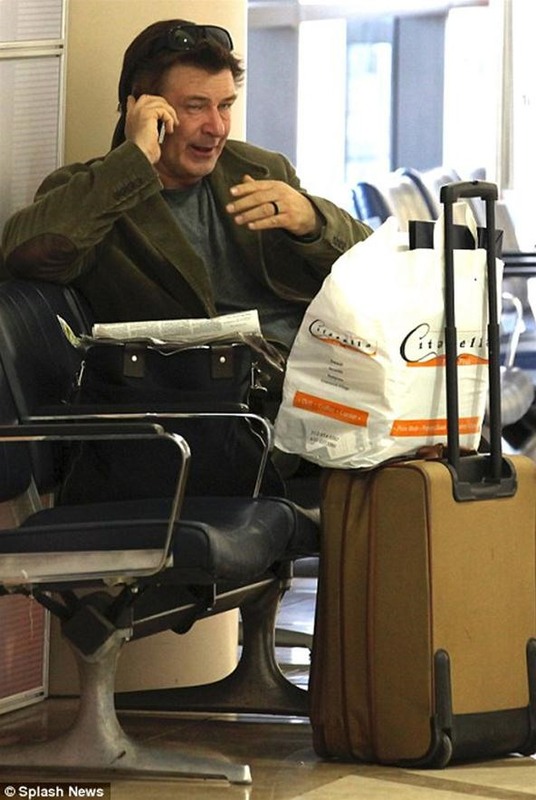 Above: Alec Baldwin in LAX after the incident. "#theresalwaysunited Last flight w American. Where retired Catholic school gym teachers from the 1950's find jobs as flight attendants"
He even went as far as to say that #theresalwaysunited is his new Words with Friends username. 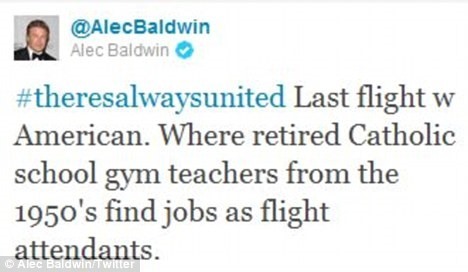 After a few more angry tweets and a day to think about it, Alec hit the self-destruct button on his Twitter account @AlecBaldwin, calling for all of his 600,000 followers to unfollow him en masse in hopes of crashing his account. The account is now deactivated. Though his account is deactivated, the 30 Rock actor sent out one last tweet saying "starting fresh". We shall see. Just goes to show how addicting mobile word games are. Zynga seems to have gotten some good attention because of Baldwin, shouting "Let Alec Play". Yeah, I never pegged him for a WWF player, but I wouldn't want to sit next to him on a plane.